The Braun Series 5 5090cc shaver gives significantly more skin contact in problem areas such as chin, neck curves for efficient shaving with less skin pressure. 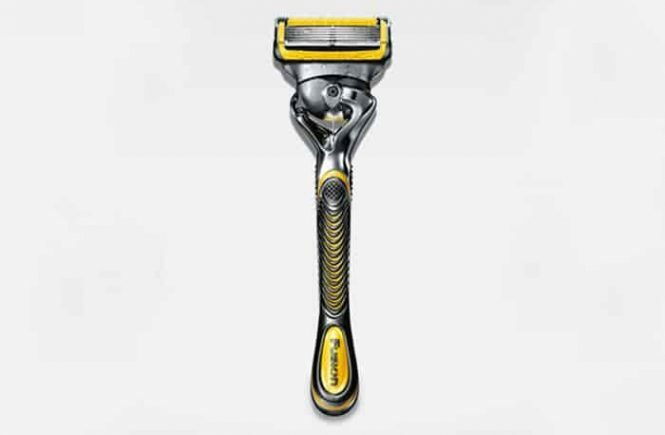 The shaver has the most advanced technology with world-eminent design and the supreme Braun quality standards. The ShaverZone team is giving total review below for your better understanding of Braun series 5 5090cc/5190cc. 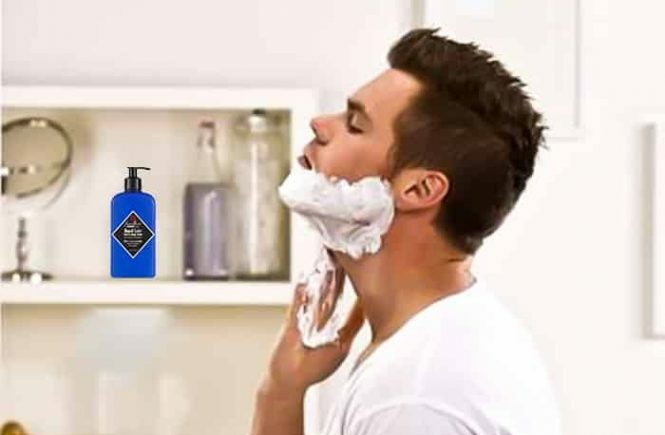 The Flex Motion technology is so much important for a perfect shave. It refers to three cutting elements that each has its own suspension mechanism that allows it to follow the contours of your face. It responds to even the smallest contours. You will feel more comfortable when the shaver runs on your chick up and down direction without experience. It minimizes irritations. The Braun series 5 5090cc shaver performs amazing, especially with its flex motion technology providing the user an enjoyable experience without having too much pressure on his face which is one of the many leading factors of what causes skin irritation. It is so much friendly for sensitive skin. The 40° pivoting shaver head of the shaver effortlessly navigates along larger contours for maximum skin contact and provides awesome results in every single stroke. There are some difficult areas in our body, neck, chin, and sideburns. It is so tough to reach electric shaver in those areas. 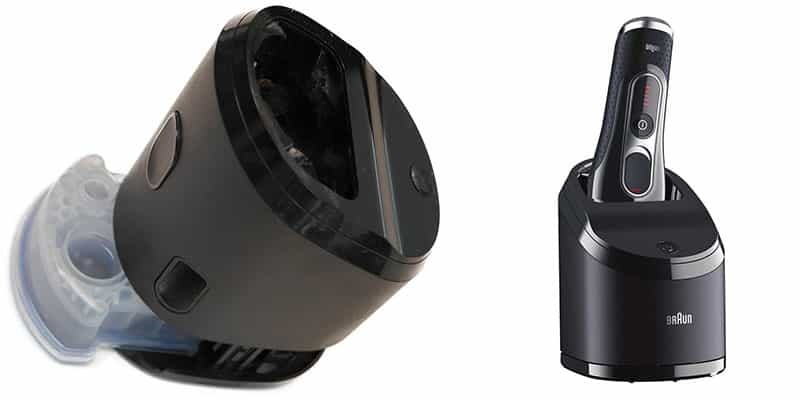 That is why Braun has used Active lift technology in Braun series 5 5090cc shaver to do that kind of exceptional job. 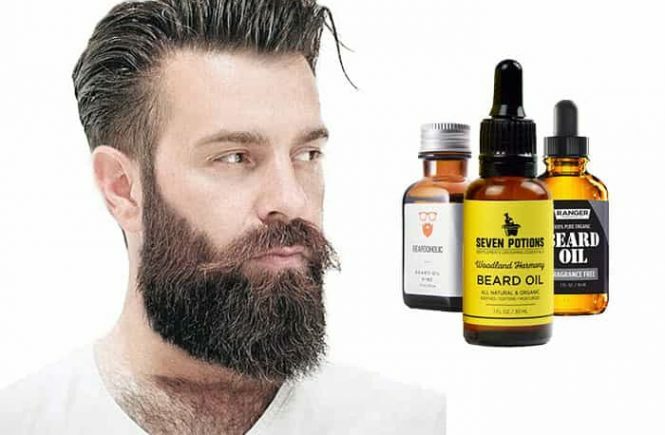 You will be able to trim and styling the beard in your desired way through Active Lift. You may know flat-lying hair cannot trim easily by general shavers. But when it comes to Active Lift shaver, it can reach to those problem areas of your face where other shavers cannot reach comfortably. 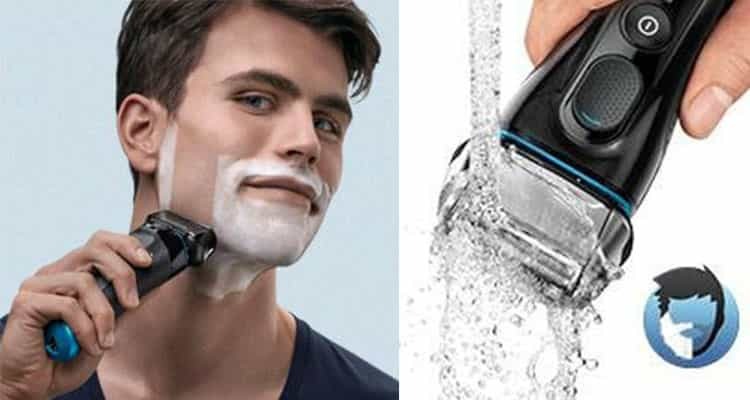 This shaver allows both wet and dry shaving. The Braun series 5 5090cc is 100% waterproof and you can shave by this shaver in the shower with gels, creams, and soap without any problem. You can clean the shaver easily under running water because it is 100% washable. To clean your shaver properly is so much important to get new performance again and again. 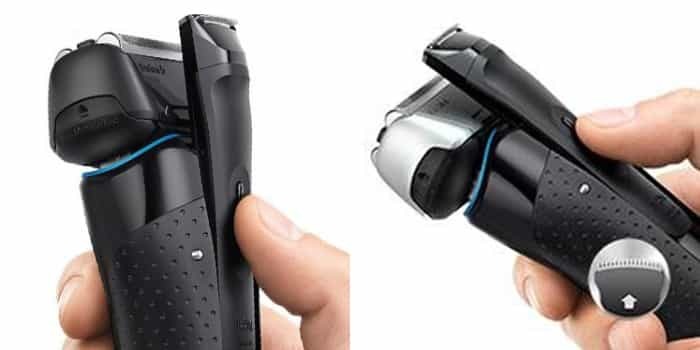 You can clean your shaver two ways, manually and automatically. The ShaverZone team focuses on automatic cleaning system. The clean and charge station is basically a dock which cleans, charges and lubricates your electric shaver without any effort. It has world’s only 4-action, alcohol-based Clean & Charge Station. So your shaver feels like new every day. First, to insert the cartridge you have to press a button on the back of the station and it will open and you put on the cartridge. You can simply place your shaver in the cleaning station and press the power button then the station will do the job for you and ready for next use. If you travel and don’t take your cleaning station with you then you will clean your shaver under the running water or clean it by cleaning brush which is called manual cleaning. You charge your shaver by clean and charge dock. The powerful rechargeable Li-Ion battery becomes fully charged in 1 hour for up to 50 minutes of cordless shaving. If you need an urgent charge you can charge your shaver by charging cord within only 5 minutes. The charging cord has an automatic worldwide voltage (100V–240V ) adjustment. The Braun series 5 5090cc also comes with a precision trimmer which helps you trim the sideburn and mustache perfectly. It is long and skin friendly that cut more than sufficient for every beard. The long hair trimmer on the 5090cc is located on the back of the shaver. The Braun 5 5090cc shaver has super class multi head-lock which offers 5 adjustable angles to achieve more precise shave in problem areas such as under the nose. Its locking system is superior. The opti-foil design permits the foil to capture more hair for the closer shave. It is a very important feature which is not available in general shavers. 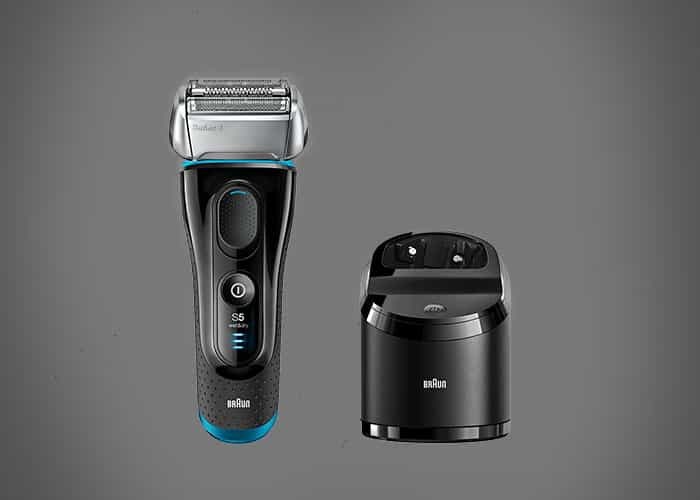 If you are searching high-speed shaver undoubtedly you can choose Braun series 5 5090cc because it has 20% more powerful motor that gives you a quicker and more effective shave. 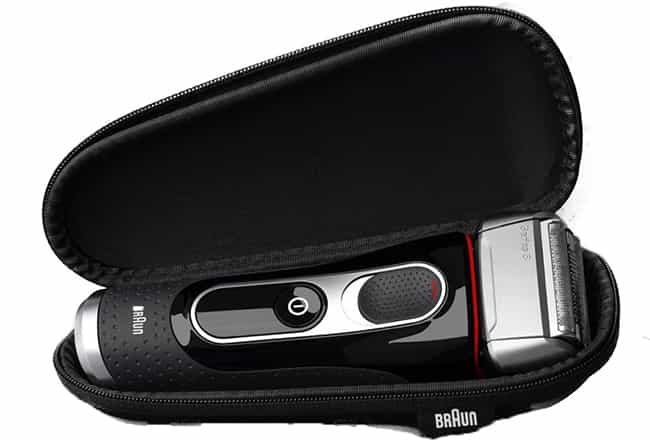 The Braun series 5 5090cc also provides a very durable hard travel case to carry your shaver when you travel somewhere. Unfortunately, you can only carry your shaver that means you will have to pack the charging cord separately when traveling. The Braun series 5 5090cc has rechargeable Lithium-Ion battery which provides 50 minutes of cordless use. So you will get relax when you shave in the shower. In case the shaver is low on power, you can have direct corded shave plugging into direct electricity. But we recommend the cordless use. The Braun series 5 5090cc has 60 days money back guarantee and 2 years warranty. If you are searching an electric shaver with the highest technology features, Braun Series 5 5090cc Electric Shaver is for you which provides you efficiency in every stroke, shaving even dense beards and reaching difficult areas. The Braun series 5 has a charge and clean station which returns the shaver to a like-new level of cleanliness and hygiene. It is versatile, effective, comfortable for your skin. The shaver also has a battery charge and ‘hygiene’ indicator on it that inform you when it’s time for a clean. The shaver is very nice and the shaving head pivots, but can be locked in several positions for better precision and it must fit perfectly in your hand because it is well balanced. Most of the users of the Braun Series 5 5090cc Electric Shaver was very pleased with the having quality of it. 60 days money back guarantee and 2 years warranty. Thanks for your nice review. It is very informative. Is there any significant difference between Braun series 5 5090cc and 5190cc two models? In series 5 which one will be more useful for me? The Braun series 5 5090cc and the 5190cc stand for the same shaver. So, you can undoubtedly buy the shaver if you find any of these model numbers. I did not found it braun series 5 5090cc on amazon. I found it 5190cc. Yes, The Braun Series 5 5090cc is now 5190cc after the new update.